The Canadian Rockies are all you imagine them to be and then more. From Mounties to snow-capped mountains, and turquoise lakes to thermal springs, the Rockies have some of the most impressive and beautiful scenery you will find anywhere in the world. They provide an ideal setting for a wonderful wedding ceremony. 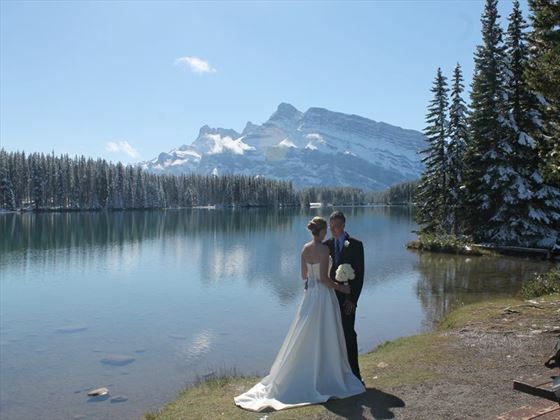 With spectacular light and amazing backdrops, wedding photos from Canada are among the very best we have ever seen. Banff National Park is the most famous of the Canadian Rockies Parks and is one of Canada's leading tourist attractions. 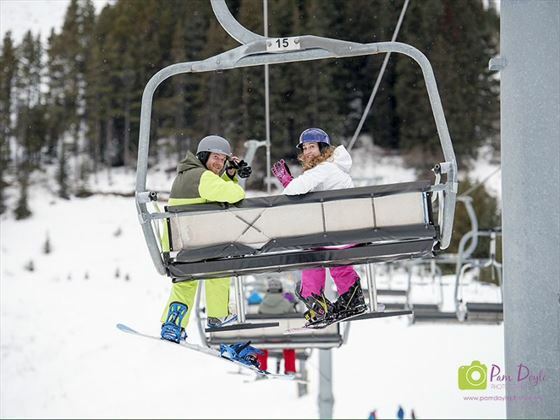 It’s a year-round resort of alpine beauty with endless activities including ice skating, skiing, horse drawn carriage and sleigh rides, gondolas and hot springs. 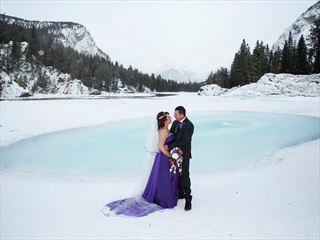 People travel from all over the world to be married or renew their vows in the magnificent Rocky Mountains of Canada. 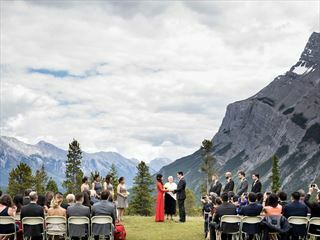 No waiting period, no blood tests – just a licence to obtain and you can get married outside in the majestic Rocky Mountains! "We had an amazing time thanks! 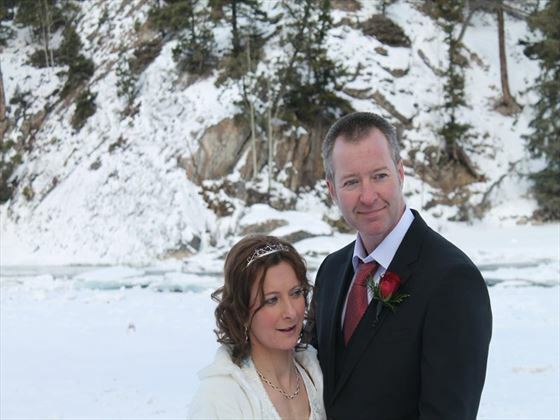 We managed to have our ceremony at the top of Mount Norquay so the views were wonderful. 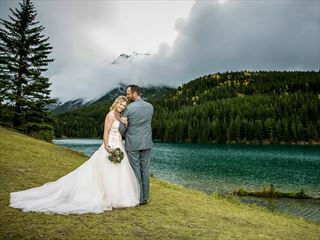 Andrew & AmyJaneMarried in Banff with a memorable ski wedding! 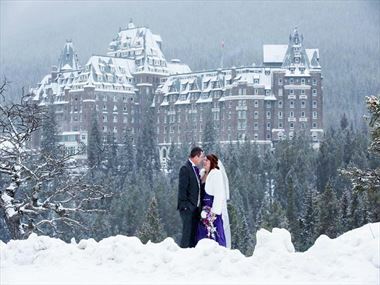 "Everything was wonderful, we always wanted to go to Canada and the location looked great. The wedding was fantastic and everything was in place." "A beautiful Banff wedding. Congratulations to Fiona & kevin"